Fresh off its recent investment in the Prairie livestock feed business, Quebec ag co-operative giant La Coop federee is headed down a similar path in southwestern Ontario. The co-operative announced Monday it will pay an undisclosed sum for a 50 per cent stake in W-S Feed and Supply, based at Tavistock, Ont., about 30 km southwest of Kitchener. The company operates a “multi-species” feed mill at Tavistock and a certified organic swine and poultry feed mill at Mount Forest, about 60 km northwest of Guelph. La Coop, which owns meat packer Olymel and is also “already well established” in the feed sector in Quebec and the Maritimes, closed a deal in April to buy the Canadian assets of Winnipeg feed processor Standard Nutrition Canada. 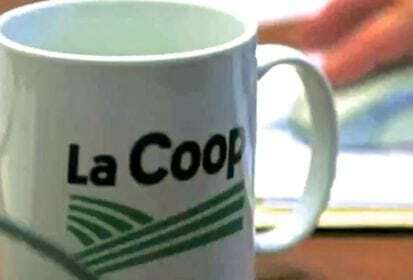 La Coop’s agreement in principle with W-S is still “subject to the fulfillment of certain conditions” before closing, to be completed “in the upcoming weeks,” the co-operative said. The shift to joint ownership will be “seamless” for W-S customers, La Coop said, as the feed miller’s “key” management and sales teams will stay in their current positions. The deal “represents a strategic new entry into Ontario’s agricultural market, but this time into the animal nutrition industry,” Ghislain Gervais, La Coop’s president, said in a release Monday. Set up in 1965 at St. Jacobs, Ont. by Earl Wideman and Doug Spencer, W-S bought the feed miller then known as Mount Forest Elevators in 2001, and the Tavistock New Life Mill in 2008.